The dominant (most common) plant group on Earth are the flowering plants, or angiosperms. This group of plants make up most of the flowers, shrubs, trees, and grasses you see every day! But there are others! Algae are a group of microscopic plants that need water to live! You might think that you would find algae only in streams, rivers, ponds, lakes and the ocean; but this group of plants can live anywhere there is even a bit of moisture! Algae can also grow on damp soil, tree bark, birdbaths and even your water bowl! Here is a furry common type of algae called Spirogyra, or pond silk, as seen with a microscope. When I think of Fungi, I think of mushrooms! But there are many types of fungi! There is mold and mildew, which humans don't seem to like furry much! There is yeast that makes bread rise. Some fungi are bad because they cause food to spoil and plant diseases. Some fungi are good because they they are nature's decomposers and help to recycle nutrients back to the Earth. Some fungi are used to make medicines! Never eat mushrooms in the wild! 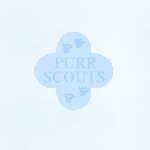 Many are furry poisoness and can make you furry sick or even die!!! Ever see mold on bread? Here is what it looks like under the microscope! Yuck! I like Moss! Actually there are over 9,000 different species (kinds) of moss! These tiny plants like to grow in bunches called colonies. Moss like to grow in cool, moist, shady places -- like in the woods. Many species stay green all year! 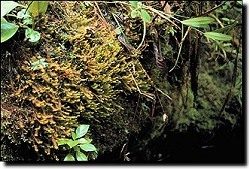 Here are some examples of mosses. 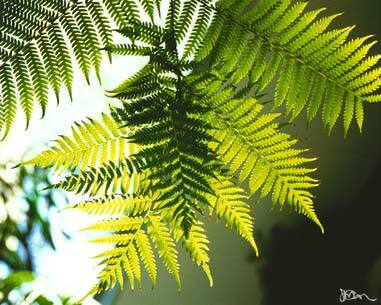 Ferns also like to grow in cool, moist places! They are bigger than mosses but usually not as large as shrubs or trees. Millions of years ago, they grew as big as trees and were the dominant plant group on Earth! Many humans keep them as house plants or plant them in the yard! 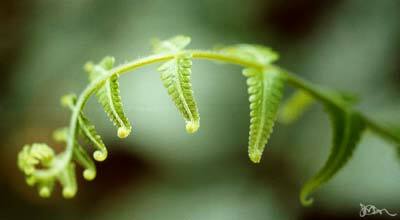 Here are some examples of ferns! Our last plant group has a long name, the Gymnosperms! Gymnosperm means "naked seeds", tee hee! That's because their seeds are usually found in a cone, like a pine cone! They include many of my favorite trees, the pines, spruces, firs, and cypress! What kitty is not thrilled by a real Christmas tree to climb and play with the purrtty ornaments? I like these trees because they usually stay green all year long and have a delightful scent!